When confronted with the quality, renown, and reach of Ruark Audio, few appreciate the size of the team at the British technology company, which is just 22 strong. Everything is handled in house, from designing the screen display typography to developing the distinctive ‘Ruark sound’. If you ring up head office, your call will probably be answered by founder Alan O’Rourke or his wife. 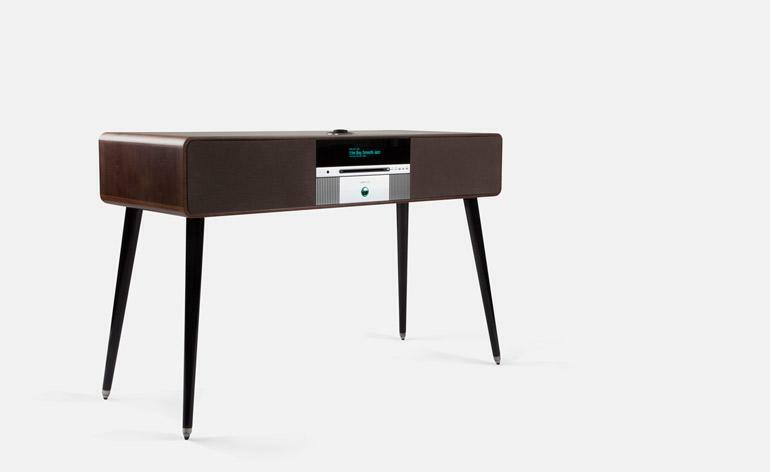 Enter the new R5 High Fidelity Music System, which is considerably smaller than the preceding R7 (a serious piece of furniture). Ruark decided to slim down the profile so as to make the speaker more suitable for tighter rooms, particularly in space-starved city homes; where a good chunk of Ruark’s customer base resides. Run a hand over the new R5 and its clear quality remains important, from the curvaceous hand-crafted cabinet, to the coolness of the glass and metal components, to the warmth of the fabric grille. Step back, and the sound is realistic. Thought has obviously gone into reproducing a live aural experience, and the quality is, according to the brand, ‘unrivaled’. It doesn’t kick out the same volume levels as the rambunctious R7, but if this high fidelity system is poised for inner-city living, the neighbours might thank O’Rourke for that.